Pastor Clark Herring & Family. Pastor Herring was saved at the age of 14, at the Peachtree Road Baptist Church in Suwanee Ga, in 2003, under Dr. Preston Moore. He served there in several ministries. In the fall of 2005, he was hired on the maintenance staff, and took care of the grounds of the church. This, is where the Lord began teaching him about the ministry. In 2006, the Lord called him to Preach. He then went on to Bible College in 2007 where he served the Lord in many different capacities. He Graduated in the Spring 2012. On April 14, 2012 he married his wonderful wife Jessica. They now have two beautiful children, Hudson (4) and Harper (1). 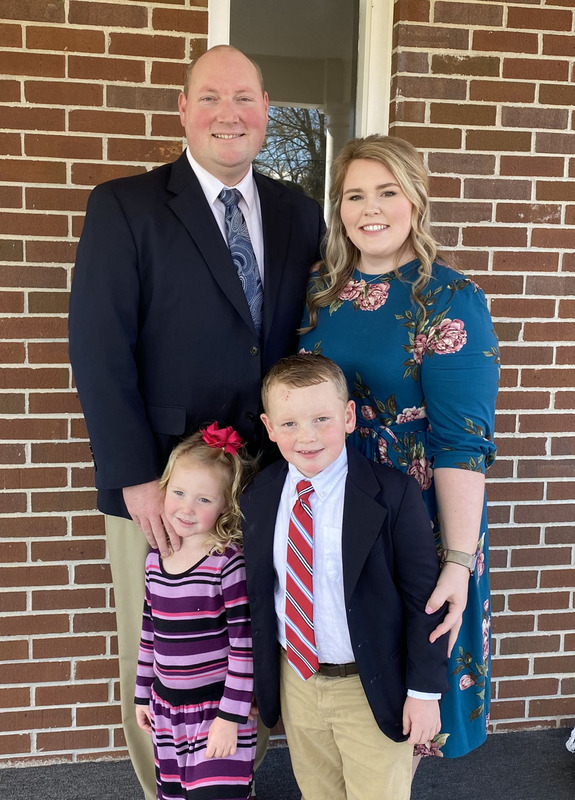 Since married he served 5 years as the Assistant Pastor at the Heritage Baptist Church in Locust Grove, Ga.
Pastor Herring was called to our church in June of 2016. Under the leadership of Bro. Herring the Church has grown, many new ministries have started, souls have been saved and baptized. We are excited about what the Lord is doing at Grace Baptist Church!